This is so easy to do and you can use any combination of colours. 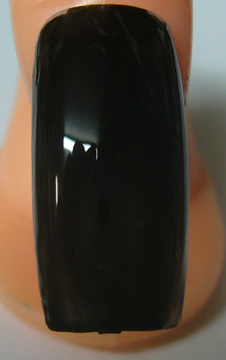 For the nails shown below we used the following polishes. 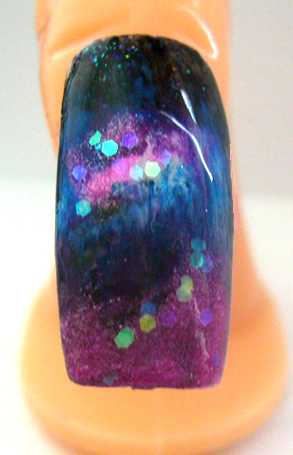 Start by painting the nail with a dark polish for the background. 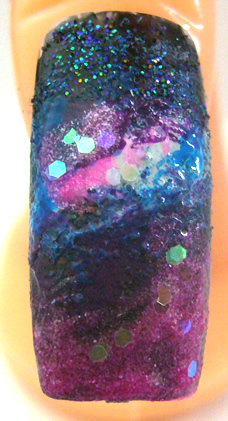 Sprinkle a little dark glitter over the wet nail polish. 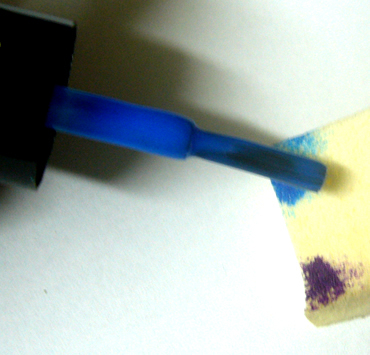 Using a makeup sponge dab a little blue on to it. You only need a small amount. Over the blue, sponge some white, in the centre leaving the blue exposed above and below the white. 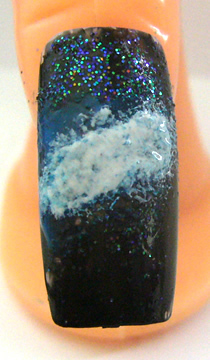 Using purple nail polish sponge the colour above the blue and below the blue. Make sure you blend it in with the edges of the blue. 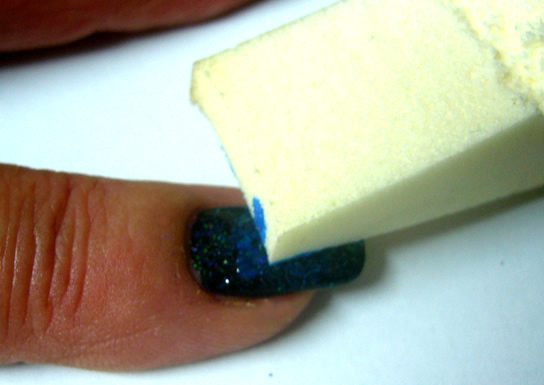 If you want a little more blue to show, sponge a little at the sides of the nail. 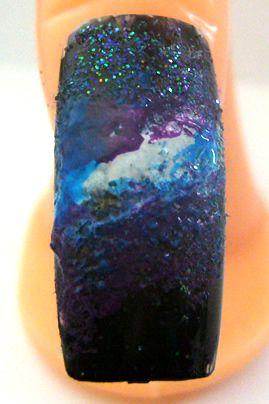 At the free edge of the nail sponge on the pink, you may have to do this twice to endure the colour shows, blend in with the edge of the purple. Sprinkle with a light coloured chunky glitter. We also dabbed a little more purple and sponged a little pink on top of some of the white. 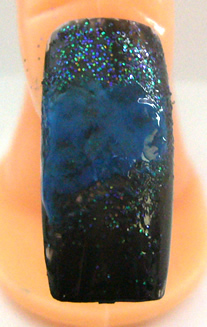 Seal with two coats of top coat. If you have a go at this, email us your photos so we can put them up for everyone to admire.